First published in 1973, this book offers a fascinating and systematic description of the debt-collection process in 1970s England. 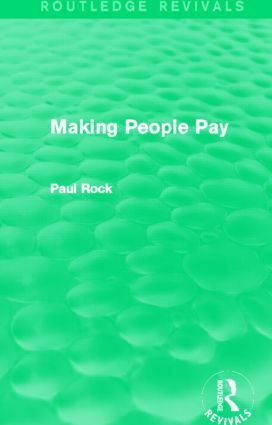 Basing his research on the words of creditors, debtors, solicitors and debt-collectors, Paul Rock’s research was conducted when imprisonment for debt was still in existence. The book covers the major stages in a defaulter’s career, from enforcement by his creditors and the work of the debt-collector, through the various processes of the law, often to a period of imprisonment. Particular attention is given to the attempts made by debt-collectors to manage an unusual form of deviance and the consequences of their actions.